PUNE (MUMBAI): Home-grown auto major Tata Motors launched its most-awaited premium mid-size sports utility vehicle (SUV) in diesel, Tata Harrier in the domestic market at starting price of Rs 12.69 lakh (ex-showroom Mumbai). "With this product, Tata Motors has rightfully entered the premium mid-size SUV segment. 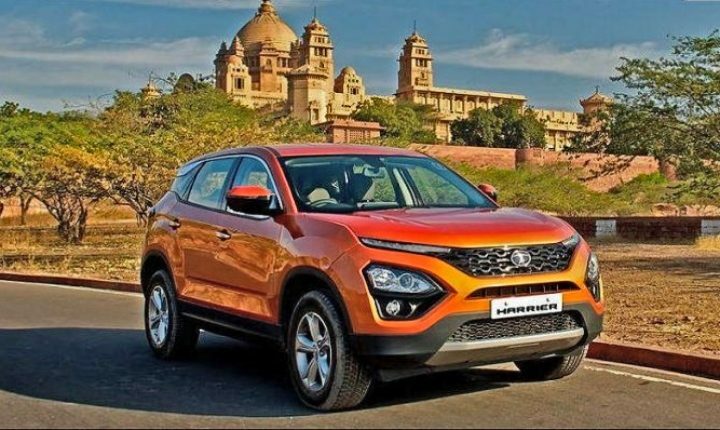 The Harrier is a strong proof point of our turnaround 2.0 strategy, and it will be a game changer in the market," Tata Motors chief executive and managing director Guenter Butschek said. The new vehicle from the Tatas will compete with the likes of Jeep Compass, Hyundai Creta, Hyundai Tucson and the Mahindra XUV500. "The all-new Harrier is our most premium offering yet and will attract aspiring buyers. Built on the Omega architecture, which is derived from Land Rover's D8 platform, the Harrier is a testament of our continued efforts to deliver global products," said Mayank Pareek, president of passenger vehicle business unit, Tata Motors. Tata Motors saw an 8 per cent drop indomestic sales to 50,440 units in December 2018 as compared with 54,627 units in the same month of 2017. The company's passenger vehicle sales in the domestic market rose 1 per cent to 14,260 units last month, compared with 14,180 units in December 2017. As per SIAM, the passenger vehicles sales grew by 4.37 per cent in April-December 2018 over the same period last year. Of this, the sale of passenger cars grew by 4.34 per cent while the utility vehicle segment logged 2.63 per cent growth. The sale of vans grew by 12.89 per cent in April-December period of last year over the period year-ago.